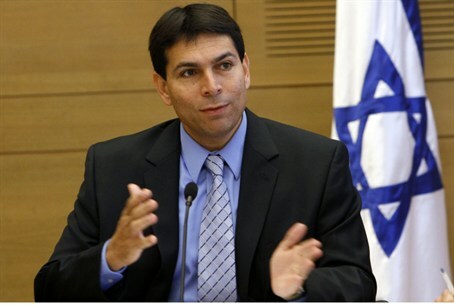 MK Danny Danon dismisses allegations that the latest legislation is undemocratic. "The Likud wasn't elected to sit quietly." A verbal confrontation broke out on Monday between Deputy Knesset Speaker MK Danny Danon (Likud) and Opposition Head Tzipi Livni (Kadima). During the gathering, Kadima’s members discussed the latest legislation passed by the Knesset, including the changes in the way judges are appointed to the Supreme Court and the amendment to the libel law which was passed on Monday and which would raise the compensation for libel without having to prove that damage was caused. The legislation has been attacked by the left, which is claiming that the legislation is undemocratic and unconstitutional. Israel has no constitution, however, and those in favor of the bills claim that the appointed members of the Supreme Court, such as Chief Justice Dorit Beinisch, follow Aharon Barak’s principles for its operation. This fact, they say, has usurped the role of the duly elected legislature and ministries by deciding legislative issues in the courts. Last week, MK Aryeh Eldad of the National Union party also criticized Israel’s left-wing parties and accused them of trying to rule the country despite the fact that the left is now a minority.